Hoppekids is a universe for the children. Everything we do is about them and all of our activities have the shared goal of making the world a better place for them. The children are the reason we create high quality furniture, focus on sustainability and provide a helping hand for children all over the world. What is the point of supporting the children if we do not leave a healthy world for them to live in? Because it is all about the children, it is automatically also about the world we hand over to them. However, furniture alone cannot save the world. We need more helping hands to create ripples in the surface. If we want to change the world, we have to start with ourselves. That is why we have worked on optimizing our company and our products. By producing FSC® (FSC-C109484)-certified and Nordic Ecolabeled furniture and textiles from Oeko-Tex® certified piece goods we make a difference in safety and health in the children’s room. Through the furniture we support the environment and sustainability in the world where our children are growing up. We consider a healthy organization as a fundament of being able to help. Every day we work on creating an economic foundation which enables us to create real change through continued support. As a company we help through economical support. However, it is our philosophy that it is incredibly useful to help those who help the children. Therefore we work with several projects and initiatives that has a focus on creating a lasting difference for the people who fight for children firsthand. 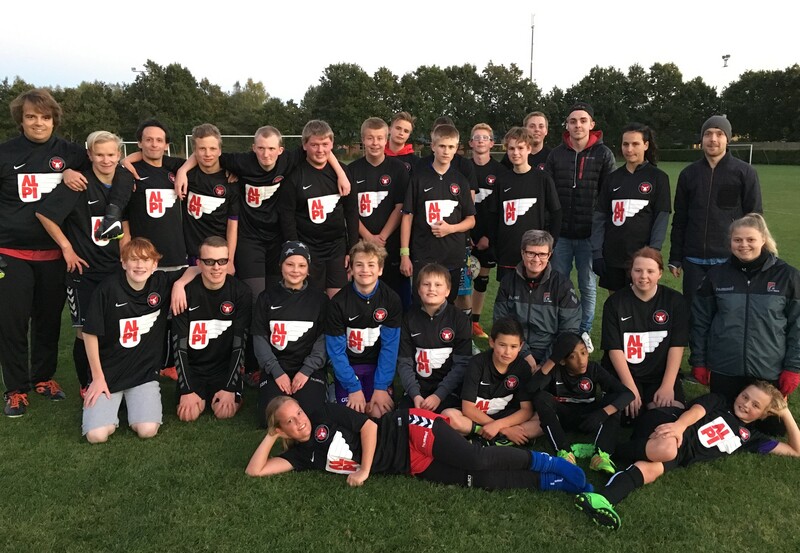 We support several local foodball clubs in Denmark because they are a fantastic symbol on all the volunteers in the world who put a lot of energy and time in helping. Not just helping the local communities, but also helping the children and those who have a difficult life. At Hammerum Special Olympics is the weekly exercise and the volunteer’s efforts helping their disabled players to create a better, healthier life with more friendships. The self-esteem is boosted because the team allow for anyone to participate regardless of skill level. Consequently, this also means that bullying is virtually as non-existing. As with the football clubs, we believe that the many international relief organizations are amazing at creating ripples in the surface and as a result making the world a better place. 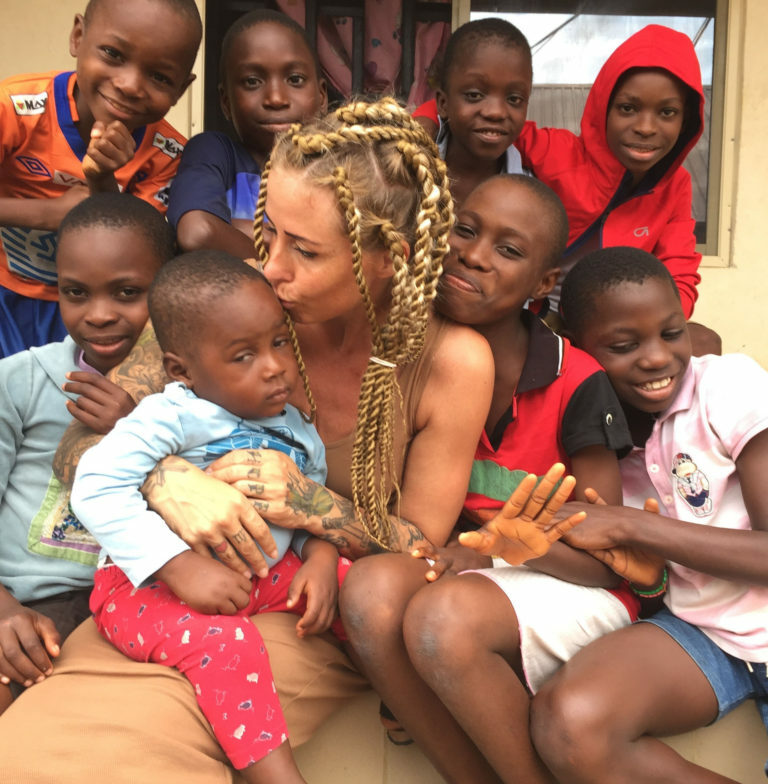 Besides Save the Children we have also fallen completely for DINNødhjælp and their founder Anja Lovén’s work for the witch children in Nigeria. For DINNødhjælp it is not just about operating a life-saving orphanage for exposed children. They are determined to support, enlighten and change the society and, ultimately, the culture which create the tale of these witch children. They are changing the world for the better. It is our hope that our help, support and sustainable initiatives create ripples in the surface and inspire people to do the same – regardless of how much or how little you are able to do. We are strongest if we stand together to help and support each other with carrying the load. We believe that the big changes in sustainability come from a multitude of small changes in our day to day life. By changing the small things and helping where you can. Because if everyone of us make a small contribution whenever we can, find the passion in ourselves and give more than we take then we collaborate on making the future even better – for us and our children. The world’s largest independent organization for children’s rights. The happiest league of handball, fighting for unity and acceptance. DINNødhjælp is a foundation created by Anja Lovén to help the so called “witch children” of Nigeria. There’s room for everyone on the football field in Hammerum!